Caillou and Charlie Brown, do they have cancer? Hey Dale thanks for your comment. It’s interesting that you should bring up Charlie Brown and cancer. 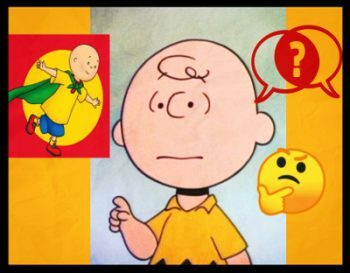 You make a good point but there are actually a lot of people that think Charlie Brown has cancer (and there are even some “Theories” floating out there like with Caillou). 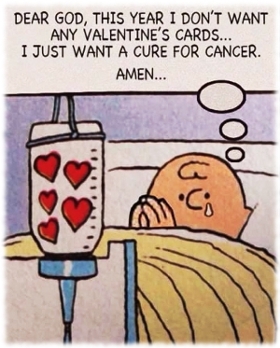 I came across quite a bit of ‘Charlie Brown has cancer’ stuff while doing research for the Caillou blog post. Like with Caillou, kids who have cancer see that Charlie Brown is bald like them and find the idea of a beloved cartoon character having the same struggles as them comforting. “Years ago I met a young man who was fighting cancer. He had his signature hat to hide the fact that he had long since lost his hair, his skin was pale and his body was frail. He carried with him an old Charlie Brown doll. “He’s my best friend.” The boy with cancer carried his Charlie Brown doll with him everywhere. It was well worn and battered… He held it tightly and you could tell that it meant the world to him; it was an extension of him. I asked him about his doll, curious as to why it meant so much to him. I was ill prepared for what he said. He said that he saw it… when he was going through his original series of chemotherapy and when he saw the doll, those few hairs on its head he felt that he had found a friend indeed. 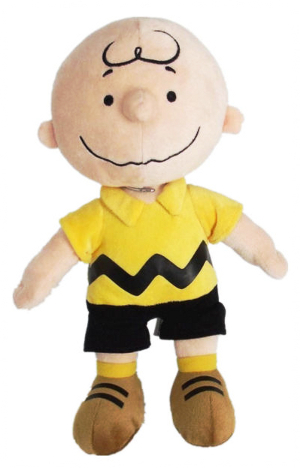 To him, the lack of hair meant that poor Charlie was undergoing chemotherapy: Charlie Brown was a doll to tell kids that he had survived cancer and so could they. So yeah, while the belief that Charlie Brown has cancer doesn’t seem as widespread as the one about Caillou…it does exist. And I think that both beliefs usually serve the same kind of purposes for people, especially kids with cancer.